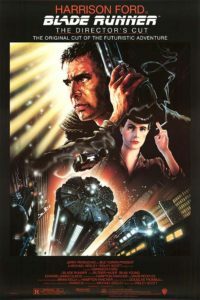 011b – Blade Runner (Part Two) | All Eighties Movies. All The Time! This entry was posted in Podcasts and tagged action, blade runner, drama, noir. Bookmark the permalink. Outstanding job in both parts of Blade Runner. I only heard about your podcast through The Morning Stream and so glad I did. Have now listened to Big Trouble in Little China, Poltergiest and Highlander. Even told my work mate who loves 80’s films to listen to you. If you are taking requests The Blues Brothers, An American Werewolf in London, First Blood and This is Spinal Tap. Just some of my favourites. Again great work. Sick of hearing podcasts ragging on these movies. Love that you both love them so much and make me want to watch them again. Just thought I’d leave a comment as Gidget said it’s mostly Americans. I’m Aussie. Wow thanks Mary! So lovely of you to leave a comment. I use the term ‘ragging on’ as well! Haha. Glad you are enjoying out pod cast. We just love our 80’s movies. I love this movie and as an athiest myself respect the womans honesty about admitting that. So many are scared to admit that and I fully respect the woman on your podcast confessing her non beliefs. Very brave I say. We are so punished these days and always have been on being athiest or non believers. What a lovely honest take on belief. And also a very honest and true podcast Credit to both of you in being so intelligent and honest and educated. Along with Myra I loved your Blade Runner two part pod cast and also an atheist I admire, sorry cannot remember the girls name but being so upfront and honest about that topic. Also the way you both covered this movie which is one of my all time favorite movies of all time I think you fully did it credit. I know the movie so well so I loved your discussions and trivia. I have listened to all Blade Runner pod casts. You are both now up there giving it two pod casts and showing it such passion. Thank you. And I’m not Australian or American. UK gay here! I went as Pris to a Halloween party just last year. Such respect for this film and your podcast. Thank you.